The WeGamers Game Broadcasters recruitment event has ended. Thank you for your participation! Note: Lords Mobile Bundle will be given out in the form of a code within 3 business days after the event ends. The code will be sent as a message to your WeGamers account. For cash rewards, an official WeGamers staff will contact you via email. 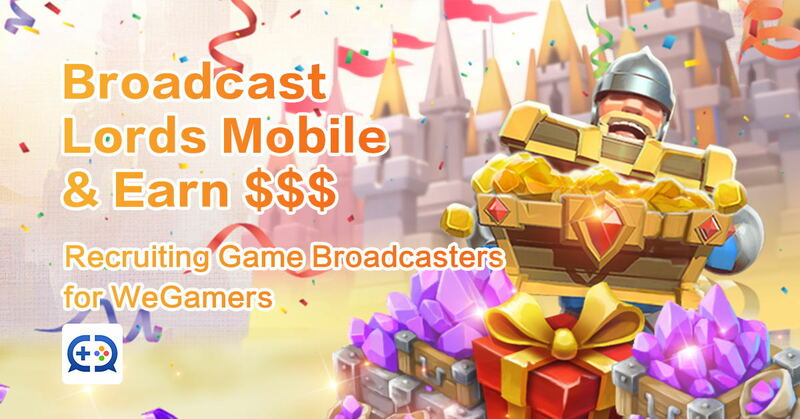 Wegamers teams up with Lords Mobile to recruit game broadcasters. You'll stand a chance to win in-game goodies or cash rewards. Come join us!